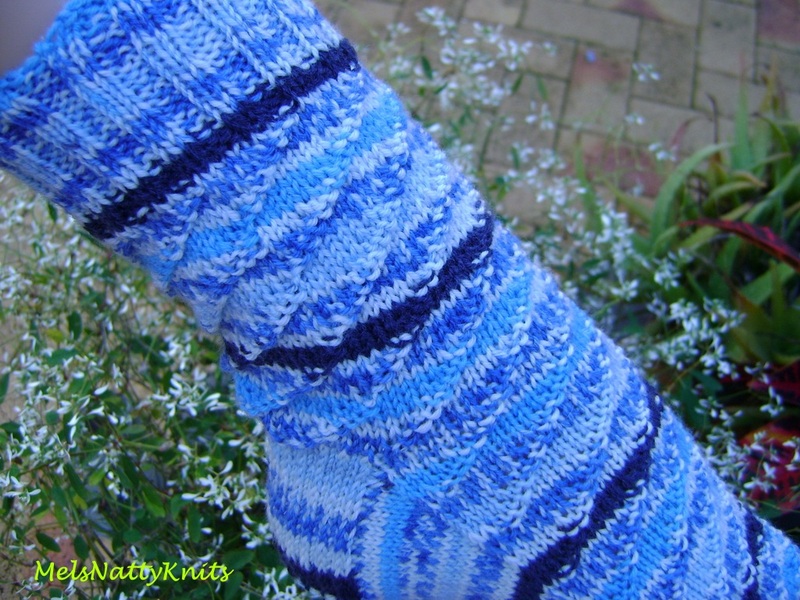 Since making my Dunedin Happy Feet Socks I’ve been in a sock knitting mood and have not long finished these socks called Swirl E.
They’re a cuff down sock knitted on five dpns. 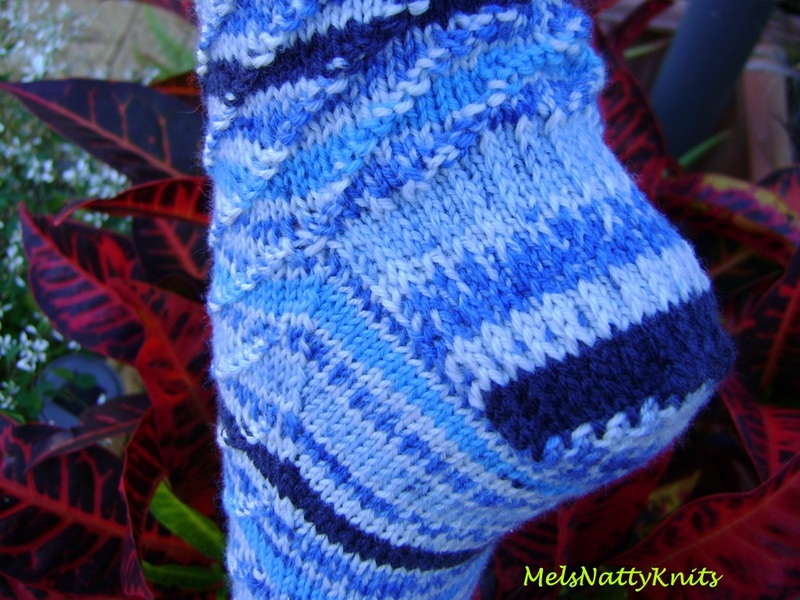 The pattern is so easy and does not overpower the striping effect of the yarn. 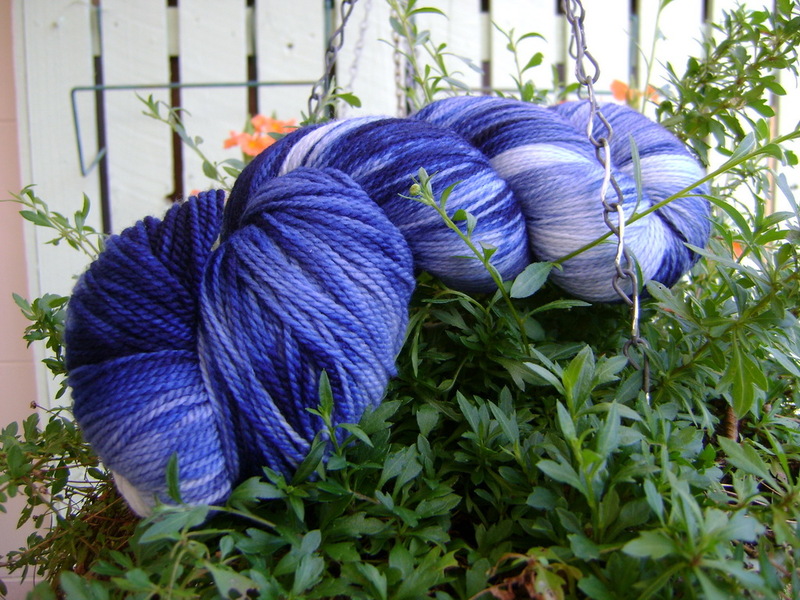 I must say out of all the beautiful sock yarns on the market today, you can’t really go past Patons Patonyle. It has such a wonderful stretch to it and feels lovely in your hands. I don’t often knit too much in blue but this yarn has been in my stash for quite a while so I thought I’d actually use it!. The patterning looks lovely and I even managed to get both socks almost identical! This pattern is by Susie White who’s known as prairiegirl on Ravelry. It’s a free pattern on Ravelry too. I am busy packing for my holiday to Noosaville which is coming very, very soon so you can expect to hear from me more often while I’m away. Hopefully that is a good thing! It had been ages since I’d made a pair of socks so during my July holidays I started these gorgeous socks from a free pattern I found on Ravelry. They’re called Simple Skyp Socks and they sure are simple. I love the easy to memorise two row repeat which certainly helped me to get into the rhythm of the pattern. And for once I selected a solid colour that would really show off the very smart stitch definition. 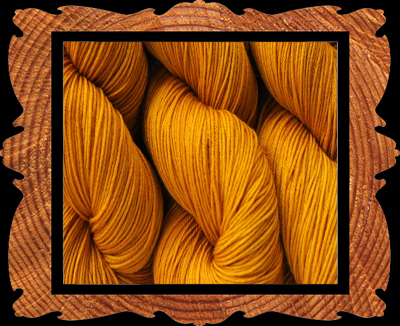 The yarn I selected is Dyed By Hand Yarns’ Tough Stocking in the colourway called Turmeric. It’s a 75% merino / 15% nylon yarn and was beautiful to knit with. 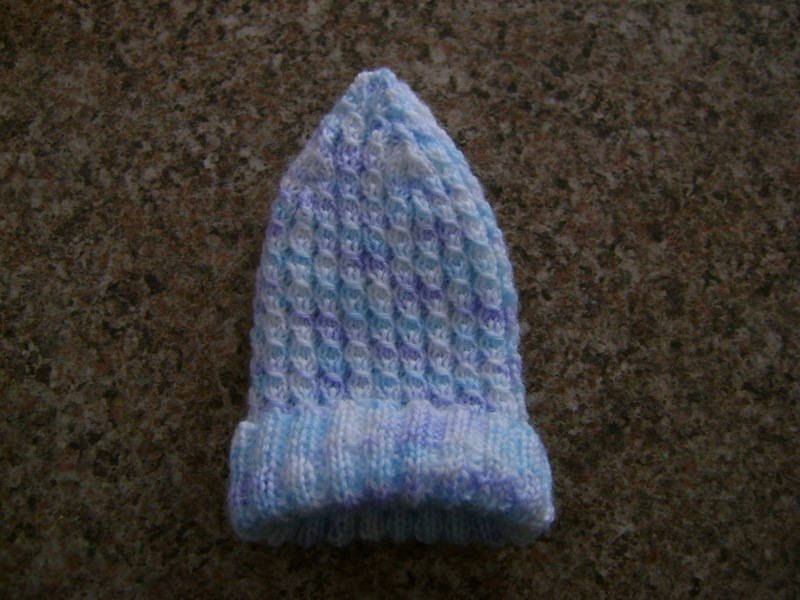 In total I used 66g of yarn and also used 2.5mm dpns. 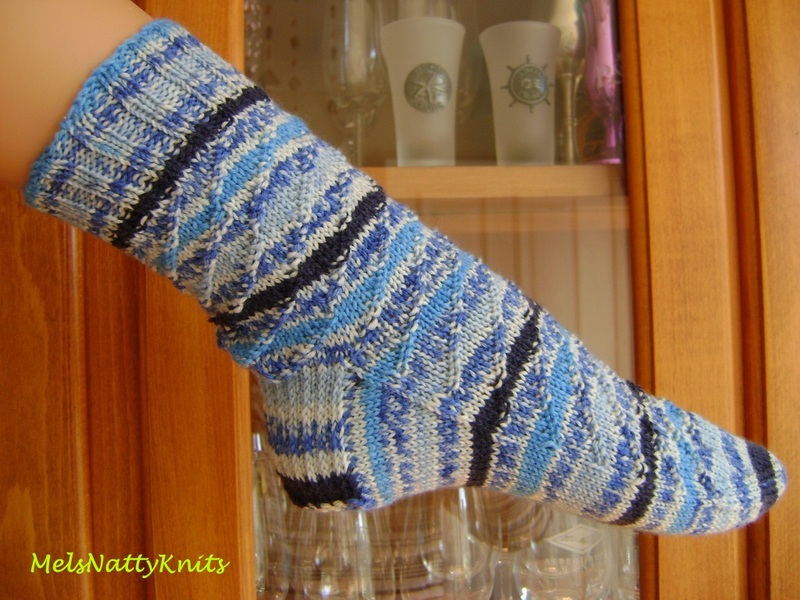 Over 3,400 pairs of this particular sock pattern have been used and recorded on Ravelry!! This is definitely a ‘come back to’ pattern. It’s a step up from a plain vanilla pattern and yet easy enough to knit when you’re chatting with friends as the pattern is not overly intricate but certainly looks effective. Now for a little bit of exciting news. 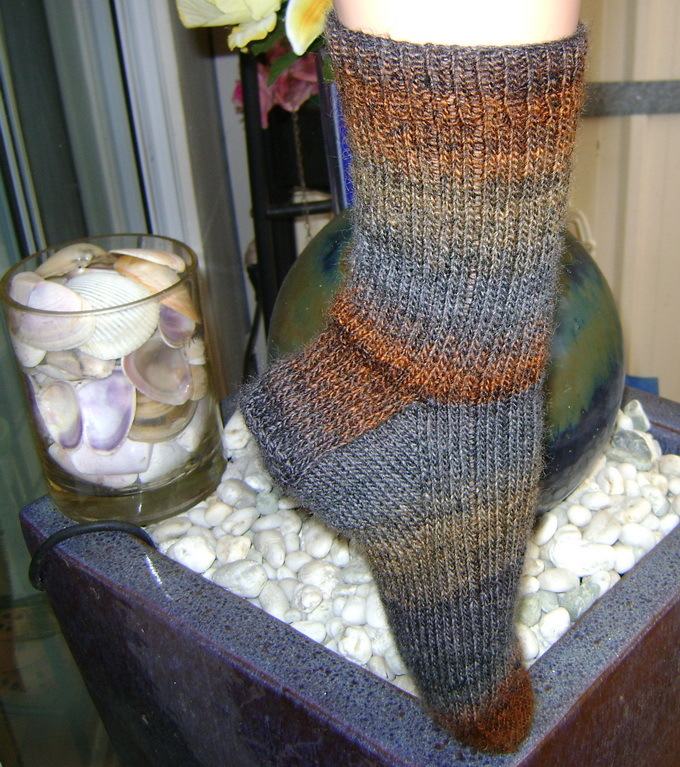 I responded to a request on a recent Ravelry forum to test some sock yarn for an Aussie online yarn dyer and I opted to knit a pair of socks so I am using the same pattern to trial the sock yarn. 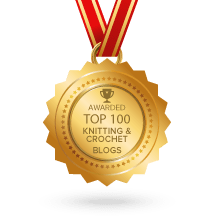 I’ll be posting updates on my Ravelry page as I go so you can drop in at any time to have a look! Aside from my favourite autumn colours, I do love all the different shades of blue. 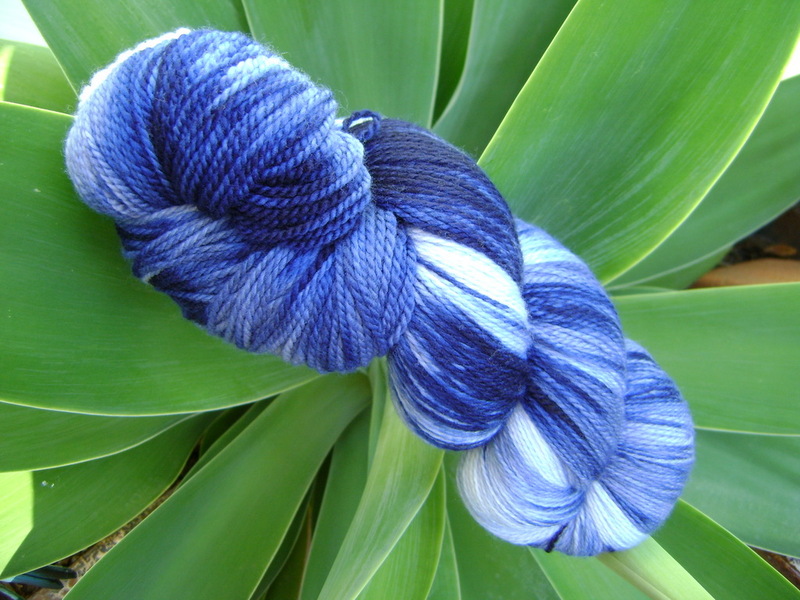 This particular colourway is called ‘Ink’ and I must say I love it! One last look at my Simple Skyp Socks and then I’m off to wind this skein into a ball so I can get started! 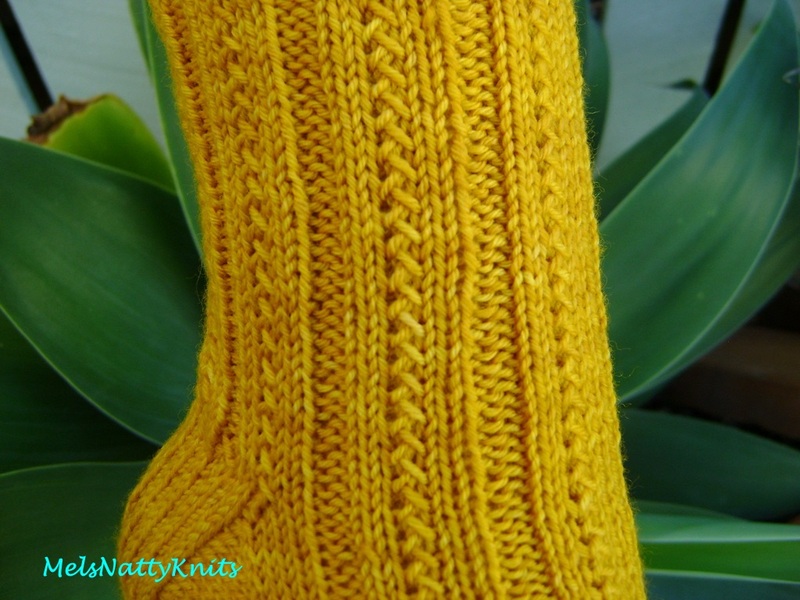 While I was reading one of Knitting to Stay Sane’s blog posts I found the link to her free pattern called A Nice Ribbed Sock. 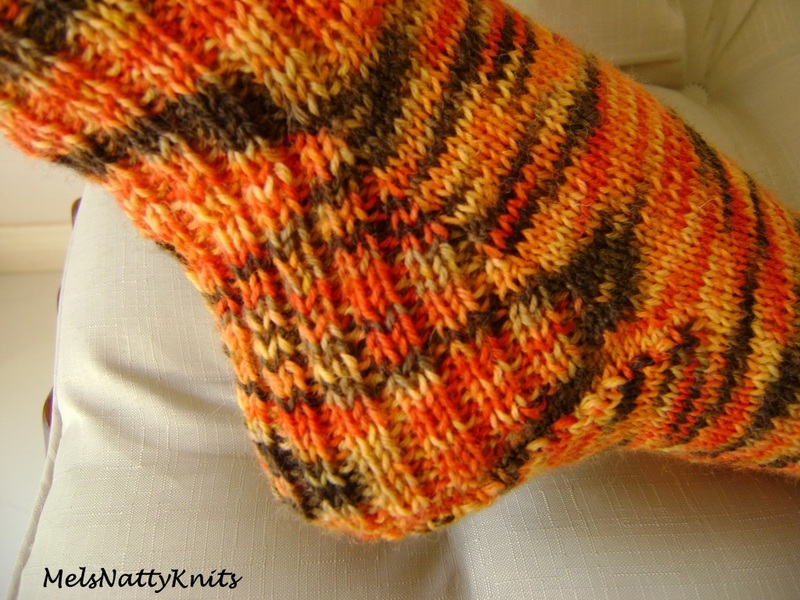 I’ve knitted a 3 x 2 ribbed sock previously which I called my Harlequin Rib socks from the pattern Basic Ribbed socks which can be found in Ravelry. 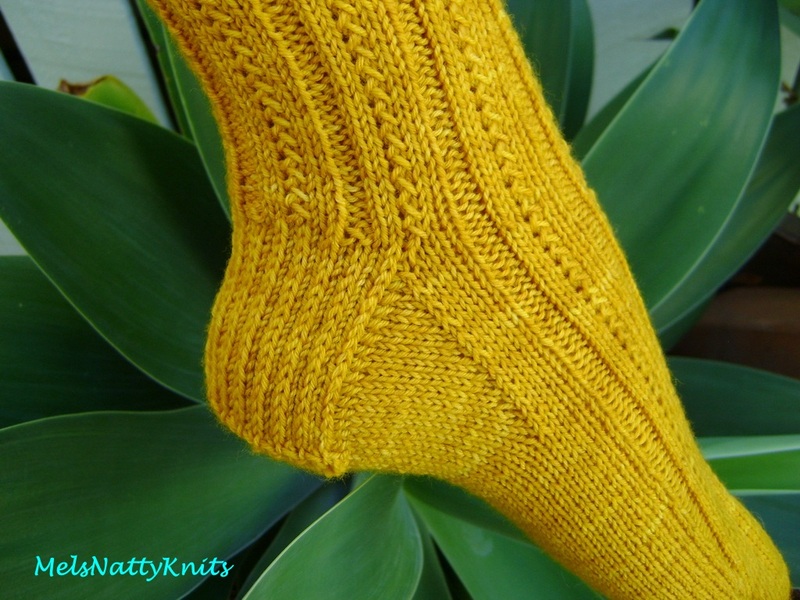 What I love about this pattern is that by just knitting a 3 x 1 rib adds some interest to the sock rather than a plain stockinette stitch. 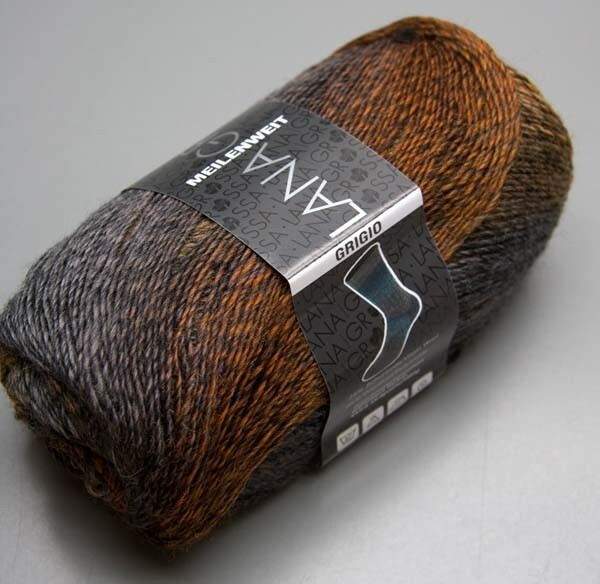 Had some difficulty trying to get a good photo to pick up the colours in the yarn which are charcoal, tan and a little bit of burnt orange. Hopefully these pictures taken outside may help to give you an idea of the colourway. 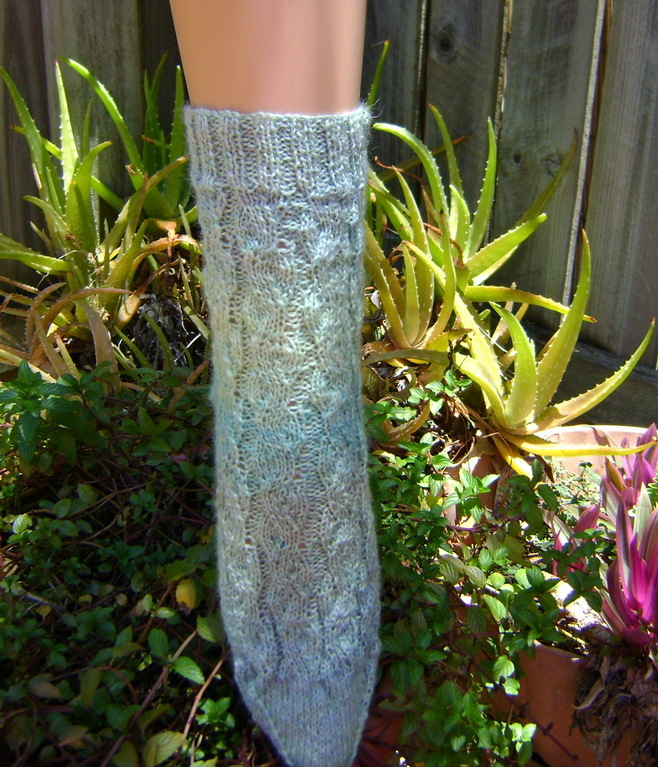 The yarn I used is called Lana Grossa Meilenweit Grigio Sockenwolle. I think it may be discontinued now as I can’t find much information about it. The colour is a bit subdued compared to some of the bright colours I’ve been knitting with but it makes a change. Thought I might also share with you this absolutely adorable Incredible Expanding Gnome Hat. I thought it was so cute I just had to knit it with no one in mind to give it to so I’ll just hang onto it until a little baby boy is born. I made it with Patons Big Baby 4ply yarn. 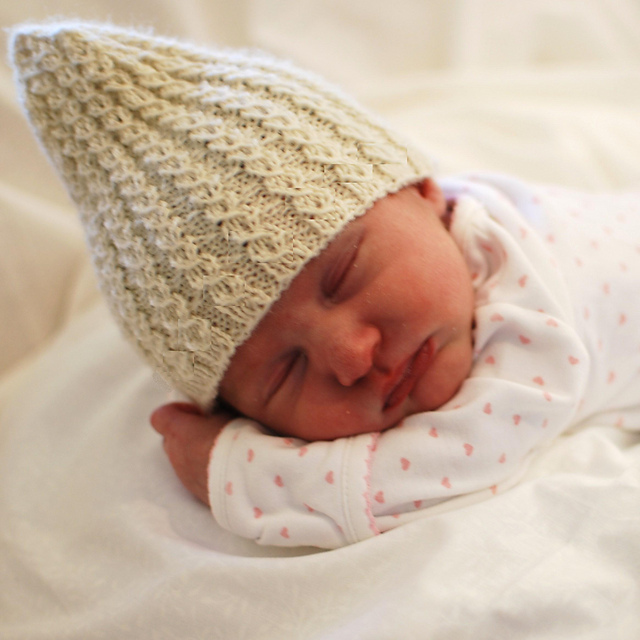 Because I don’t have a baby or even a doll to use as a model, I had to resort to a candle jar just to give you an idea of how the hat looks when it’s on a round shape. Don’t laugh! 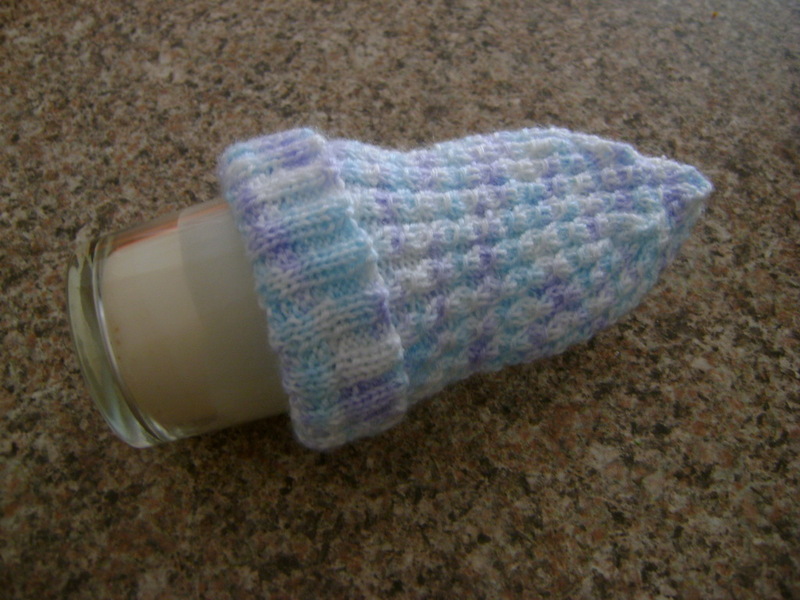 Here’s the picture from the Ravelry page….much cuter. How can you not want to knit one after seeing this picture. Isn’t it just delightful? 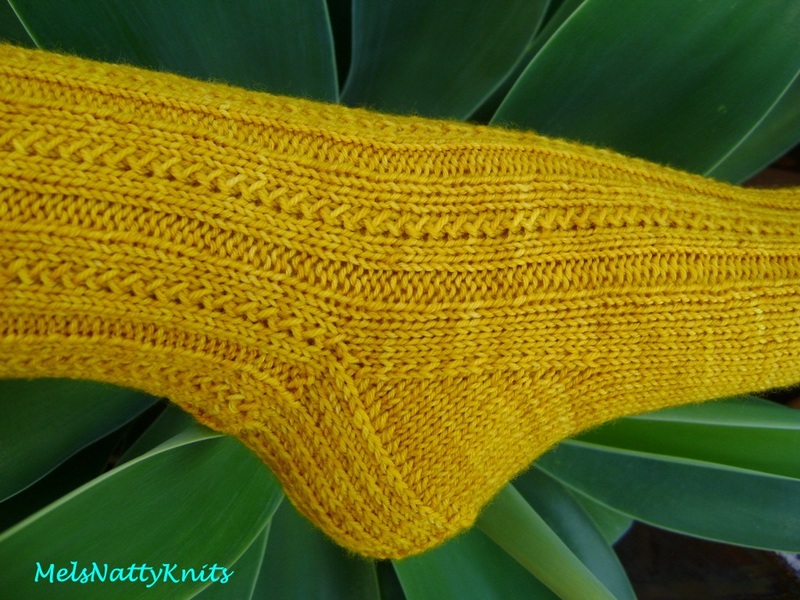 And it’s a free knitting pattern from Ravelry. 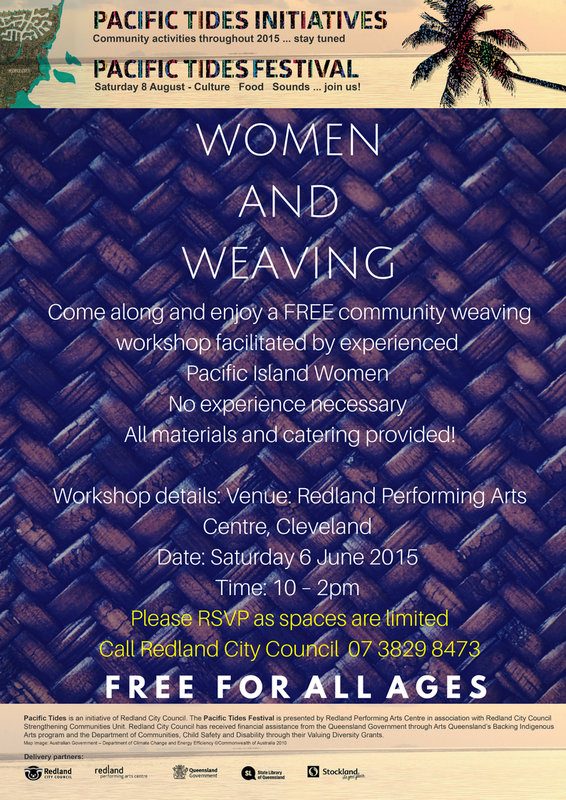 Here’s the link if you’re interested in knitting one. Time for me to go. Off to meet some of my crafty friends tonight for some eating, drinking coffee, talking and I’ll be taking my crocheting with me. 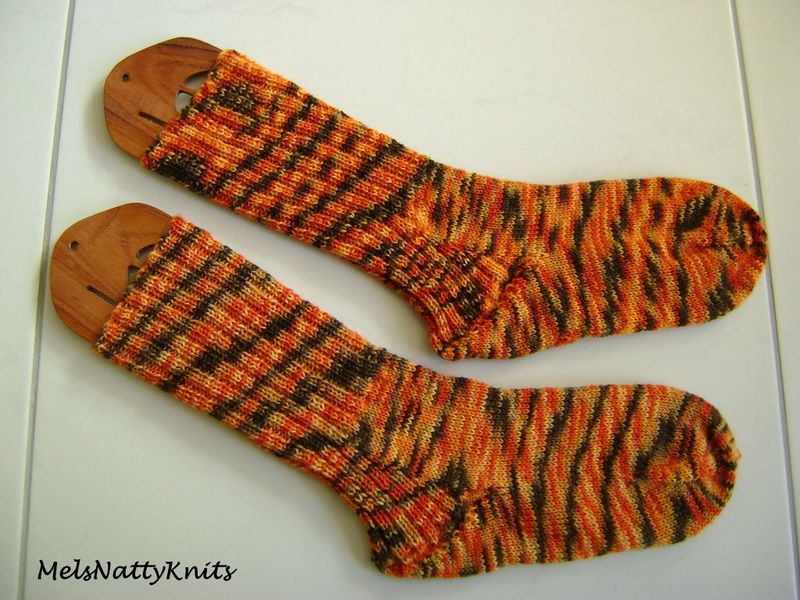 River Rapids Socks…..Pair # 19 and a Train Crash! 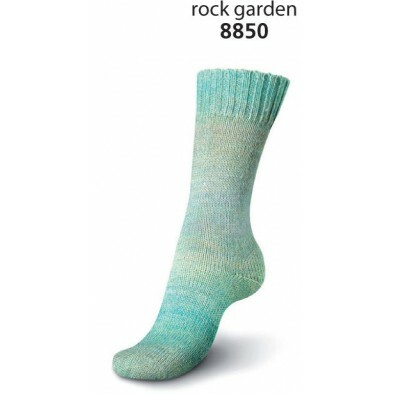 Besides knitting socks from patterns that other very clever knitters have written, I also love the names of their patterns and often wonder about the meaning behind some of them. Some names are quite obvious, others not so much. 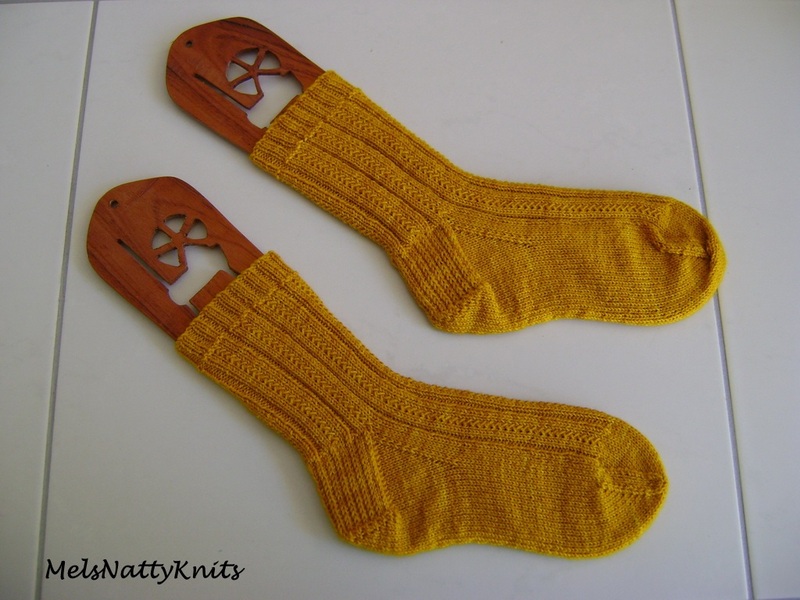 This particular pattern speaks for itself and for once, I thought I’d actually try and knit a pair of socks in a colour that relates to the name of the pattern. 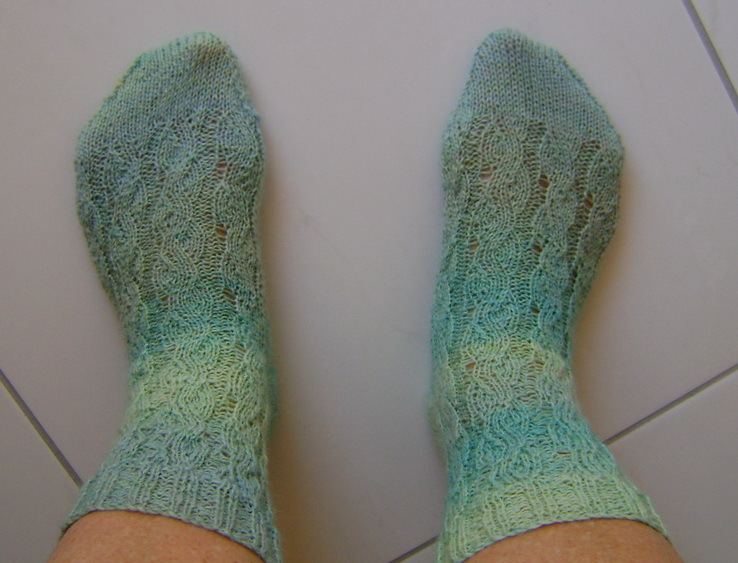 Hence my River Rapids socks are knitted in a lovely greeny/bluey coloured sock yarn. 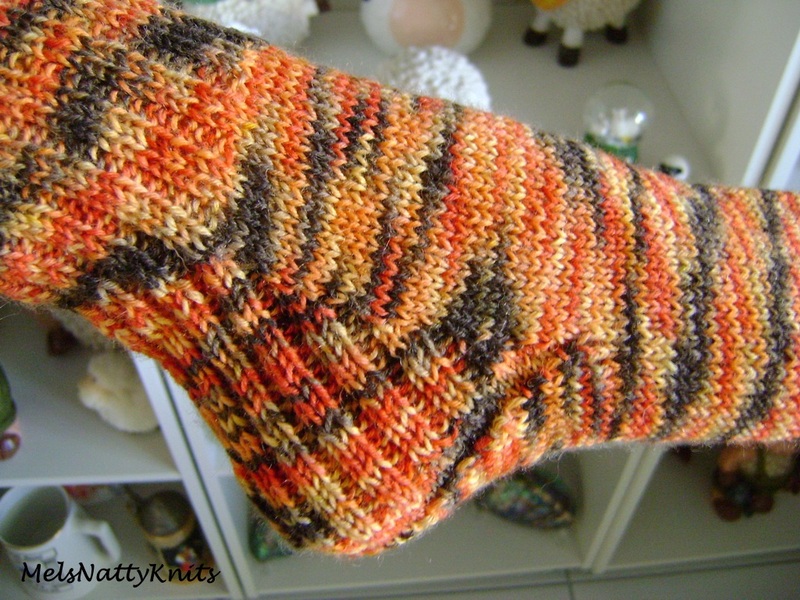 Socks # 19….and what a delightful pattern this is. 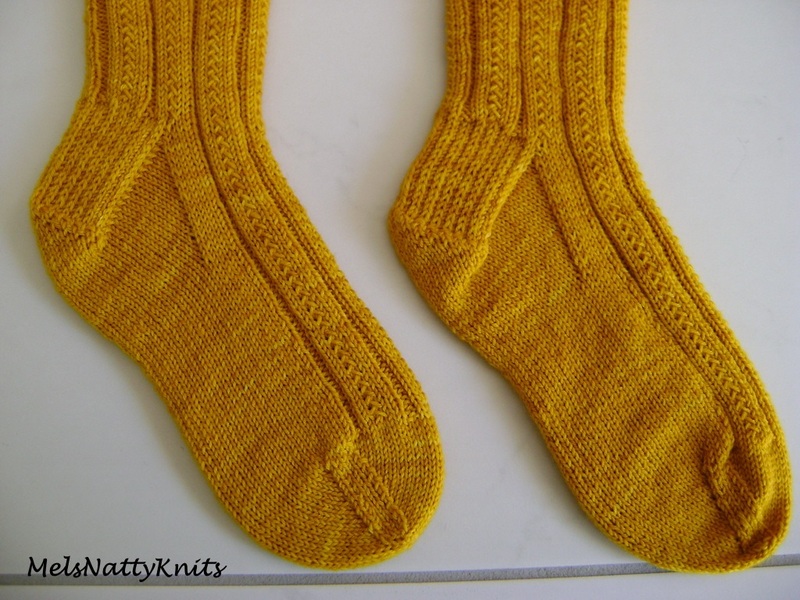 I used a size larger needle 2.75mm rather than the 2.5mm that I have been using for all my other socks. 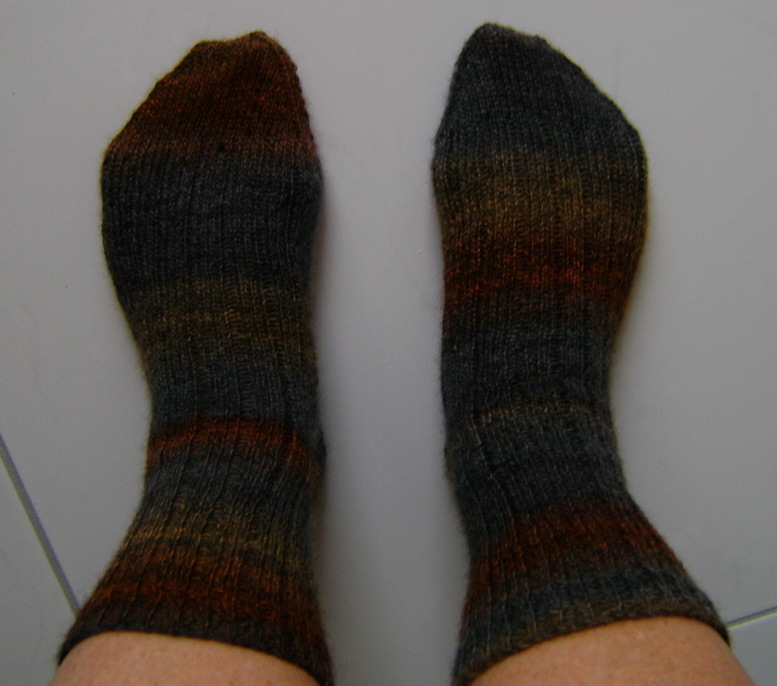 I have found that with the finer sock yarn and 2.5mm needles the socks fit quite snugly. Using 2.75mm needles has solved this problem. I am very naughty as I hate knitting tension/gauge squares. This 16 row repeat pattern is exceptionally easy as 10 of the rows are exactly the same and you soon get used to the other six rows. I used 5 dpns. Also, when doing the heel turn I used a ssk rather than the k2tog…just what I’m used to. 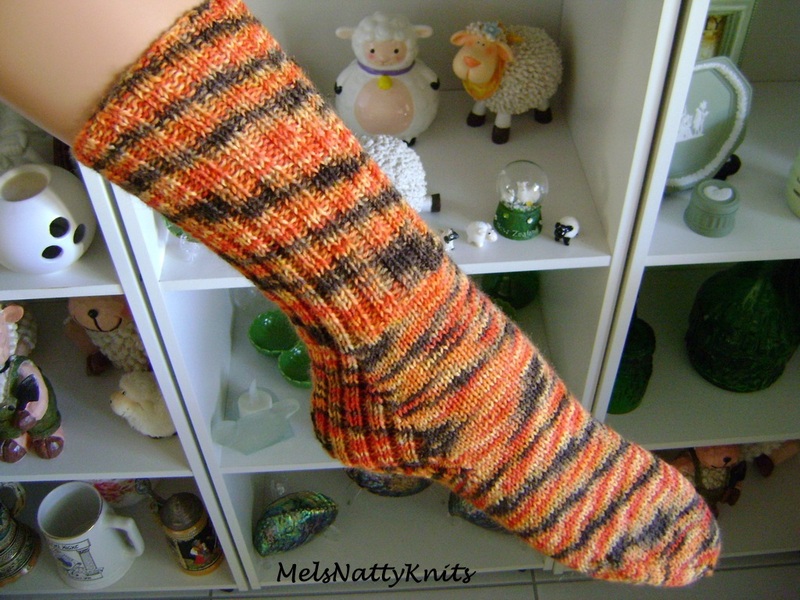 The pattern I used is called River Rapids Socks and it’s another free Ravelry sock pattern. 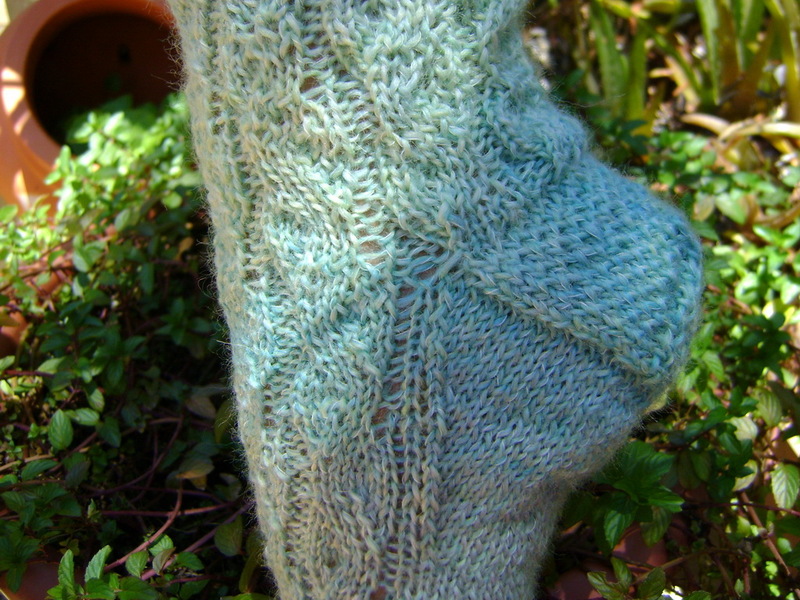 For such an easy pattern to knit it looks so intricate and beautiful. 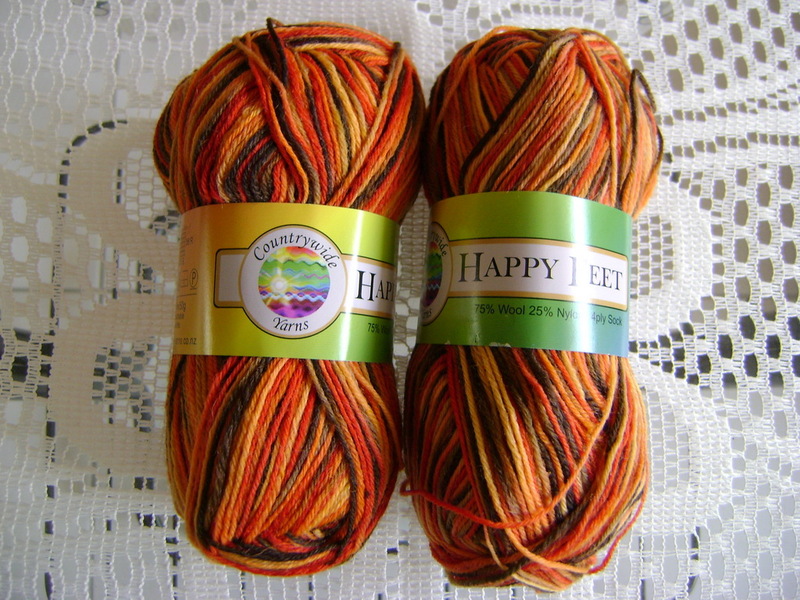 The yarn is called Regia Hand-dye Effect and the colourway is Rock Garden. 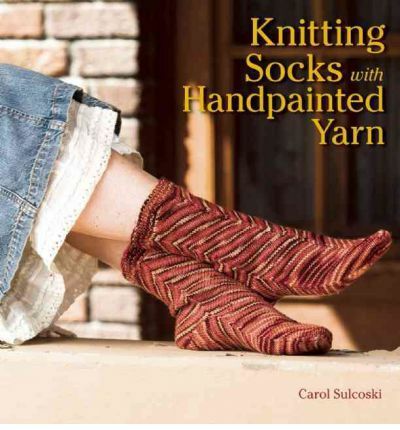 It’s the same yarn I used to knit my Rhubarb Cobblestone socks. The colour in this photo is slightly more vivid than it actually is. 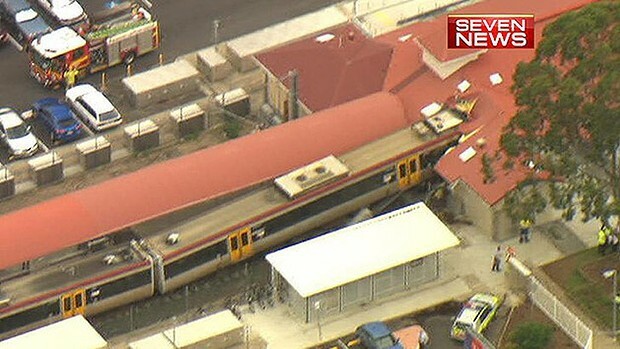 On a different note, here in Cleveland where I live we were shocked on Thursday (31 January) when a train failed to stop and over ran the platform and into the newly multi million dollar refurbished station house. An investigation is currently being carried out but it looks like there were problems with the train’s brakes. I guess that’s pretty obvious to most of us! 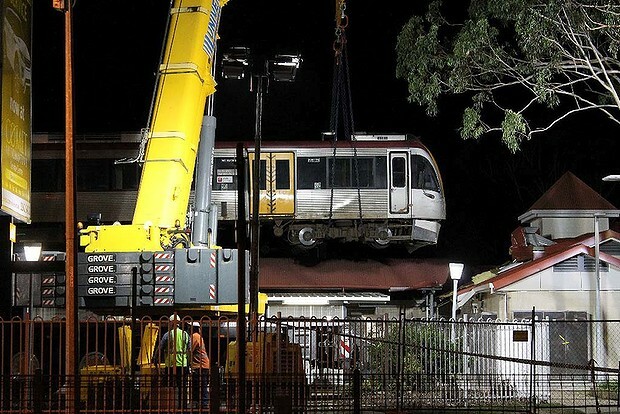 A picture of one of the carriages being lifted by crane during the night. Even Wikipedia has updated their webpage about Cleveland Railway Station. Well I’m off to finish another pair of socks. 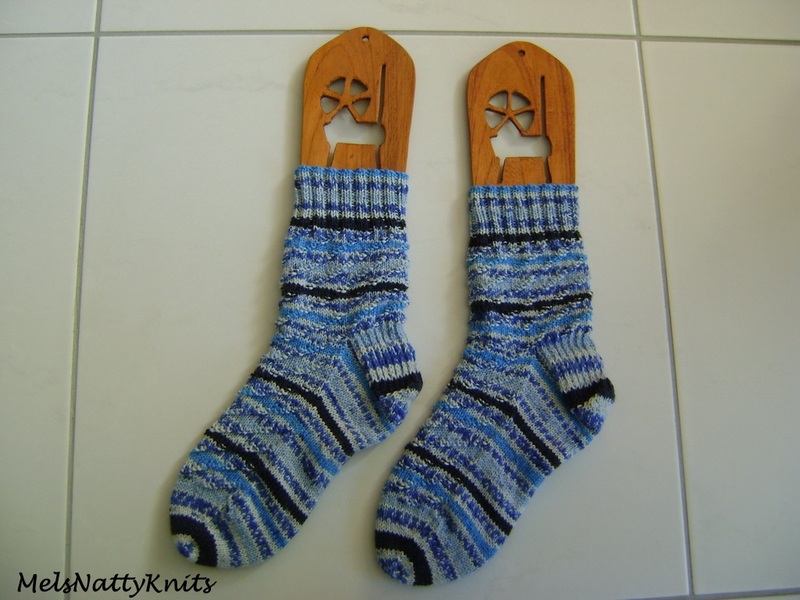 These socks are from a book recommended to me called Knitting Socks with Handpainted Yarn by Carol Sulcoski. Can’t wait to show them to you.